Each year, Brisbane high schools are invited to nominate one Year 10 student to represent their school on the Lord Mayor's Youth Advisory Council (LMYAC). LMYAC delegates act as representatives of their school and community, and are a voice for raising issues or sharing ideas that affect young people. LMYAC aims to develop young people as leaders, and is specifically designed to provide an opportunity for young people in Brisbane to participate in decision making at local and citywide level. Students identify issues and engage with each other in a public forum, where they are encouraged to provide feedback and give their opinion about Brisbane City Council policies, local laws, services and programs that affect young people. 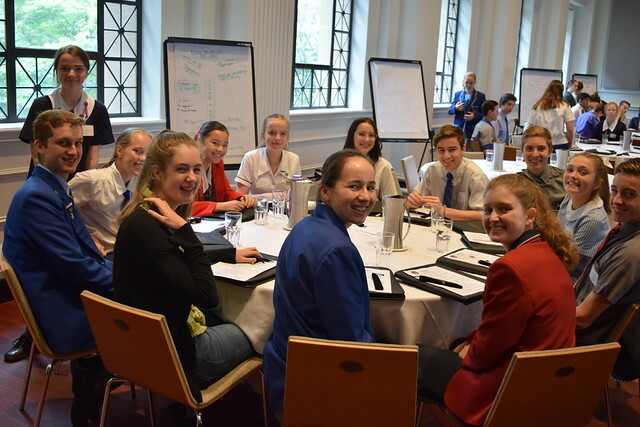 The delegates are also encouraged to work with their peers to generate and share ideas regarding initiatives that fulfil the environmental, social, creative and economic aspirations of young people in Brisbane. Four LMYAC meetings are held throughout the year (one held every term, during school hours for three hours). Meetings are chaired by the Lord Mayor and discussions facilitated by Council's Youth Development team. Young people are given the opportunity to provide input and share their ideas on three to four Council initiatives during the workshop component of each meeting. There is also an Induction Workshop held prior to the first official LMYAC meeting, which enables students to meet Council Officers and fellow LMYAC students in a more casual environment. Thank you for your interest in the program, online nominations are now open. Submit an online form to nominate one Year 10 student (in 2019) who will represent your school. If you would like to know more about the program or reserve a space for your school, email the Young People team. Nomination closes on Friday 15 February 2019.
developed a deeper understanding of our city by participating in invitation only events such as the 100+ Club Morning Tea and the National Flag Day Ceremony. To find out more about the LMYAC program, email the Youth Development team. View photos of the 2018 LMYAC program student leaders and see some of the events they have been involved in throughout the year so far. Alternatively, you can view the photos in the Lord Mayor's Youth Advisory Council (LMYAC) album in Council's Flickr account.